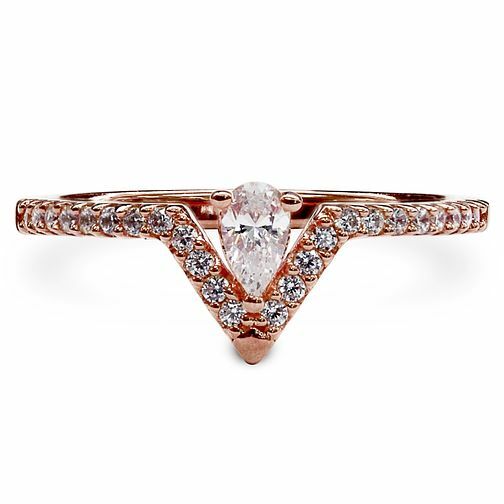 This ring is set in an intricate Pear-shaped key stone in pavé setting. The slim and light weight design makes it a perfect everyday accessory. Size N.